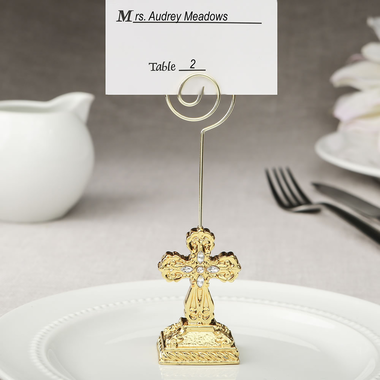 Welcome your guests to their tables with ornate gold cross place card holders. The opulent decor items have clear rhinestones in the center, and feature an intricately detailed carved base and coiled metal top to hold a card or photo. Each favor measures 5 1/4" x 1 1/2" in size. 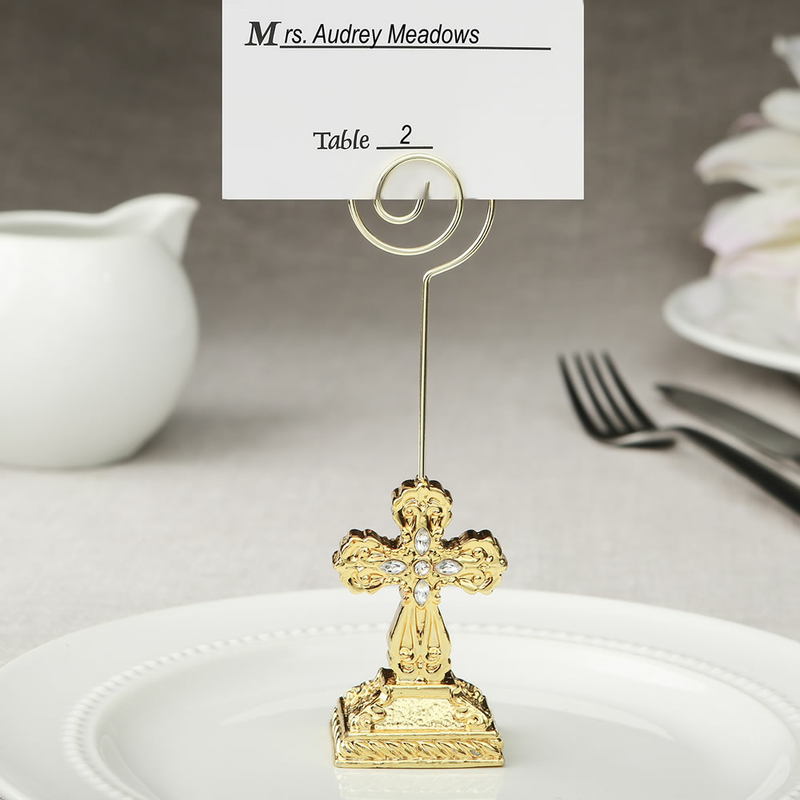 Hand them out as party favors at holy communions, baptisms, christenings or other religious events and your guests will be impressed by these elegant and meaningful keepsakes. If used as a place card holder, you will find a a blank place card included.